“I’ll do this as long as I can,” she says. By the looks of it, so will Rusty. Center in Erie. Pictured on the left is Sister Mary Margaret Balizet, SSJ. 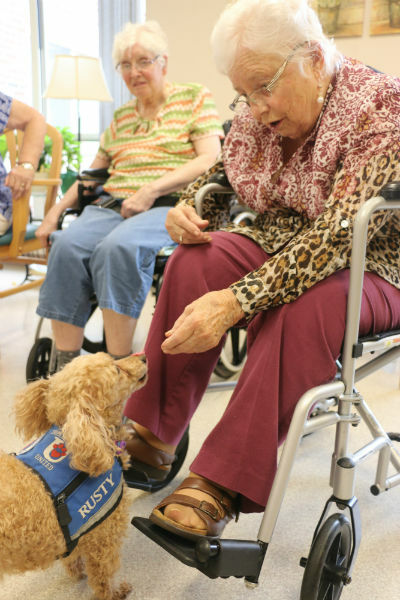 A miniature poodle, he maintains an active schedule with Sister Carol Ann, with whom he lives in a room down the hall from the infirmary at Mount St. Benedict Monastery in Erie. 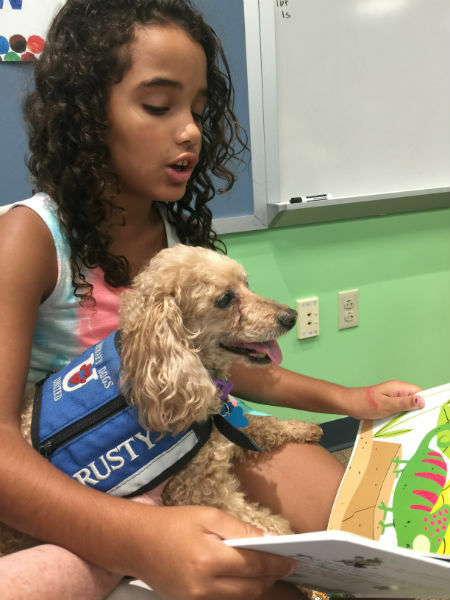 Third-grader Selena DeHaas of Erie gets Rusty to read with her at Blasco Library. not begging, but staring until they finally give in. 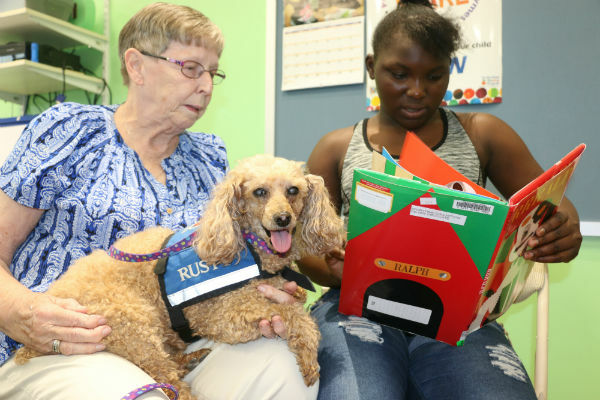 Lori Metalonis, a librarian at Blasco’s children’s library, says therapy dogs like Rusty build a child’s confidence. Some of the kids who participate struggle with reading, so an animal listening to them makes a big difference. “Some kids come in and say, ‘I don’t like dogs,’ but by the end of the hour, they’re sitting there reading to them, which is really amazing to see,” Metalonis says.